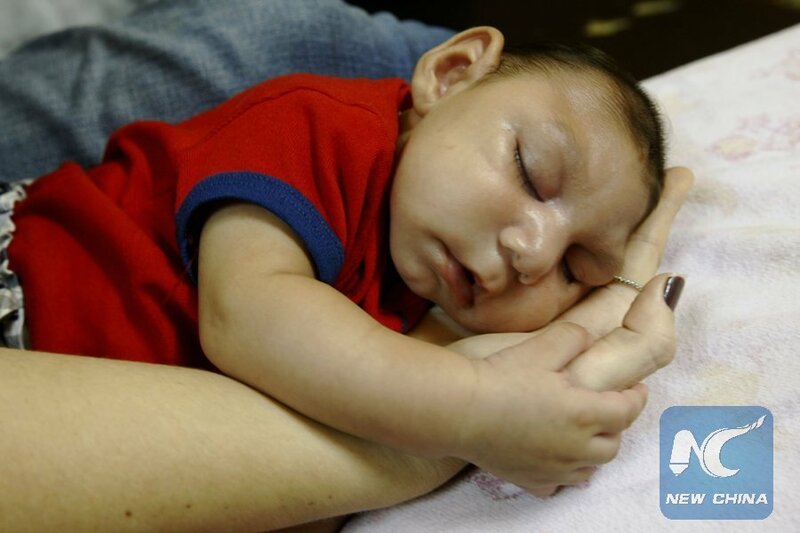 WASHINGTON, Sept. 28 (Xinhua) -- Chinese researchers said Thursday they might have solved the mystery of why the Zika virus causes microcephaly, a birth defect marked by small head size that can lead to severe developmental problems in babies. In a study published in the U.S. journal Science, a team led by Cheng-Feng Qin of the Beijing Institute of Microbiology and Epidemiology reported that one single genetic change, likely acquired in 2013, gave the mosquito-borne virus the ability to cause severe fetal microcephaly. "Our findings offer a reasonable explanation for the unexpected causal link of Zika to microcephaly, and will help understand how Zika evolved from an innocuous mosquito-borne virus into a congenital pathogen with global impact," Qin said. Zika was first identified in 1947 in Uganda, and until its recent emergence in the Americas, was a little known one that sporadically causes mild infections. Then, it rapidly swept through South and Central America in 2015, and due to its link to congenital brain abnormalities, especially microcephaly during pregnancy, the World Health Organization declared in early 2016 the current epidemics a public health emergency of international concern. It was then stably maintained during subsequent spread to the America. "The discovery should provide guidance for the study of pathogenetic mechanisms of the Zika virus and for the development of vaccines and treatments," Qin said.